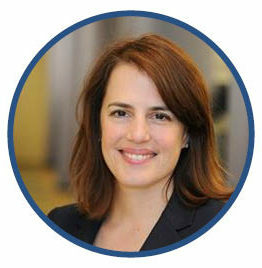 Angela Hariche, Director of International Data Relations, joined the Foundation Center in February 2014 to build a global network around philanthropic data and knowledge. She began her career working in internet startups in San Francisco and then in 1999 started working in the area of sustainable development with the International Energy Agency in Paris on energy statistics and innovative knowledge sharing techniques. In 2007, she moved to the United Nations Peacekeeping Mission in Liberia working in the area of key performance indicators at the mission level as well as capacity development projects in the areas of information technology and gender equality with the Liberian National Action plan for 1325. In 2009, Angela returned to Paris to join the OECD Post 2015 task team researching the next global development agenda. She was also a part of the OECD work on measuring progress where she was the Head of the Networks Unit. She also has in-depth experience in the areas of social cohesion, the digital divide and gender equality. Angela has attended and has degrees from Syracuse University (B.A.) the Open University in the UK in Social Science, Cultural Analysis (M.A. ), L’Université Paris-Sorbonne and the American University of Paris.